A peanut butter extravaganza! Chocolate cake with a peanut butter buttercream and a chocolate drizzle with crushed toffee bits. 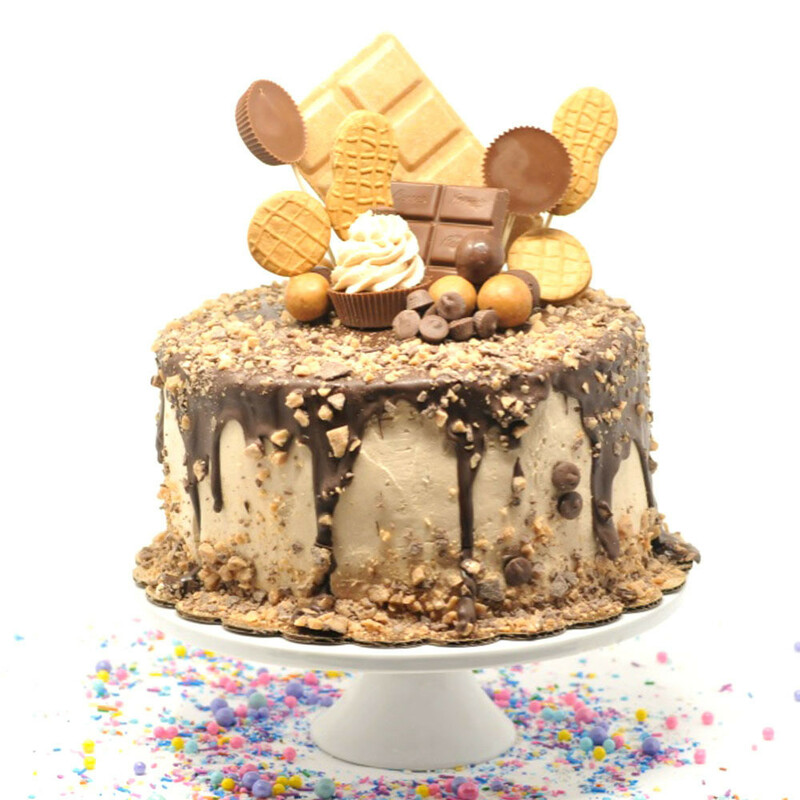 Topped with a giant peanut butter reeses piece, nutter butters, peanut butter malt balls, and reeses peanut butter bars.